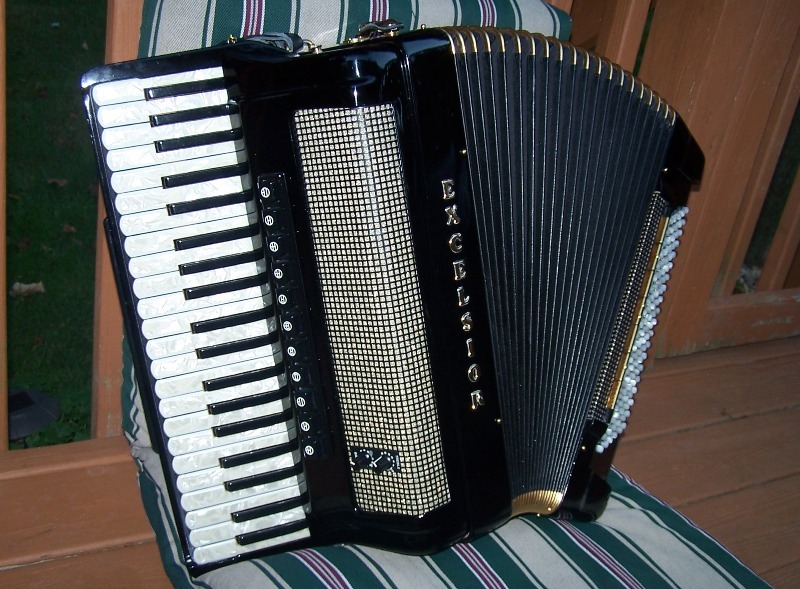 Excellent Acoustic Accordions with Stereo Amplification and MIDI ! 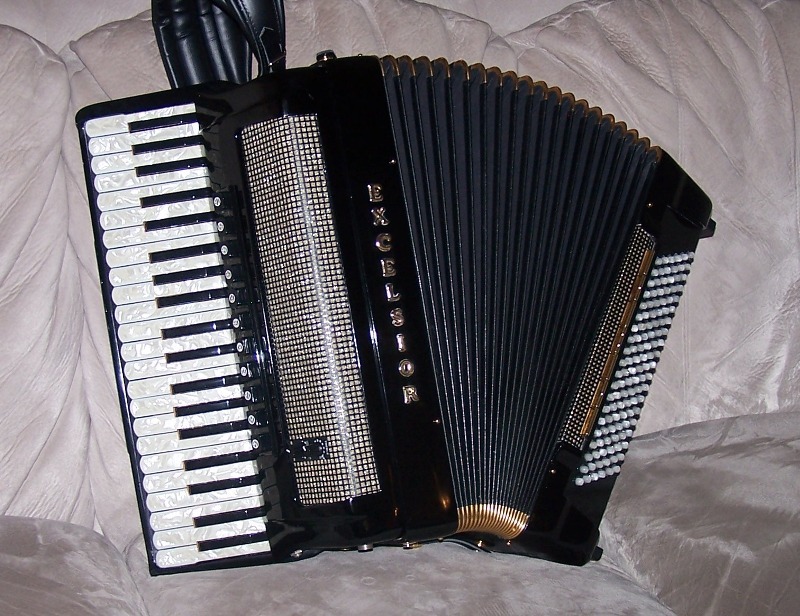 This is the top of the line Excelsior AC Gold accordion, fully loaded with features like hand made reeds, tone chamber, condenser microphones, and MIDI. 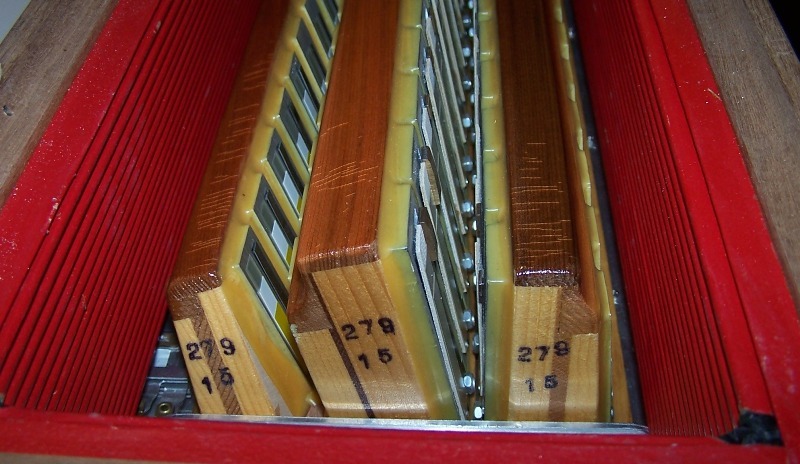 This instrument will offer you a variety of sounds with 4 sets of treble reeds and 6 sets of bass reeds, all hand-made. The reed configuration is LMMM. 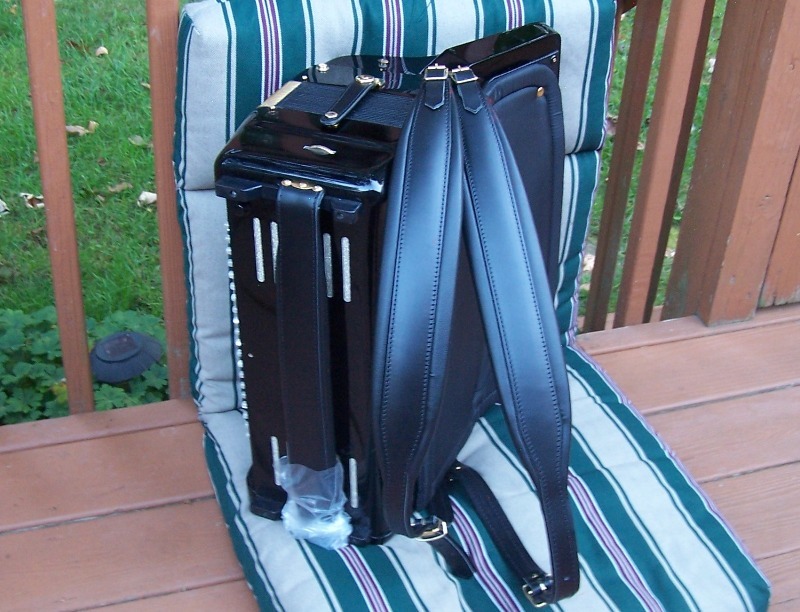 You have LM with concert tuning and 2 additional sets of clarinet reeds (M2 and M3) with musette tuning allowing for concert (dry) sounds like bassoon, clarinet, bandoneon, as well as beautiful Italian and French musette sounds when adding M2 and M3. 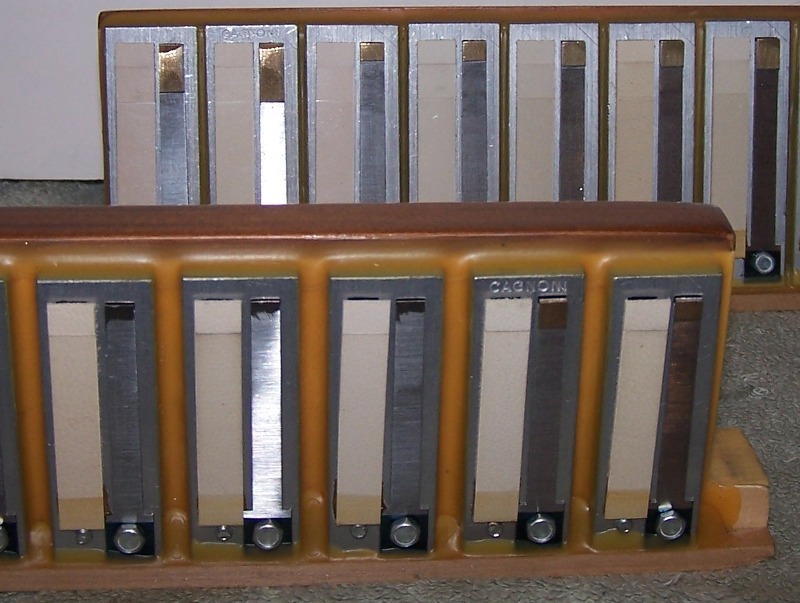 The instrument was custom ordered with gold plated metal parts. Musictech condenser microphones with separate treble and bass volume control and MIDI complement the acoustic accordion. 4 sets of treble reeds - LMMM. 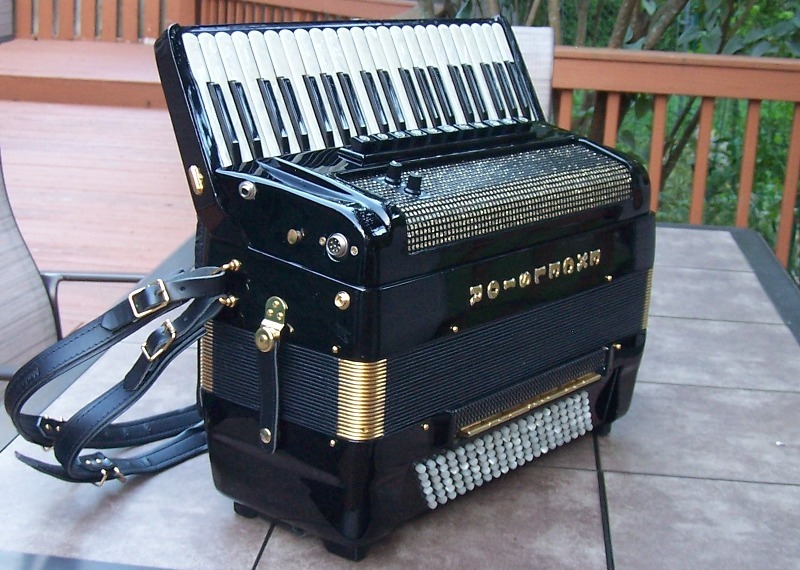 The accordion is tuned to 440 Hz with M2 set to -15 cents and M3 at +15 cents. 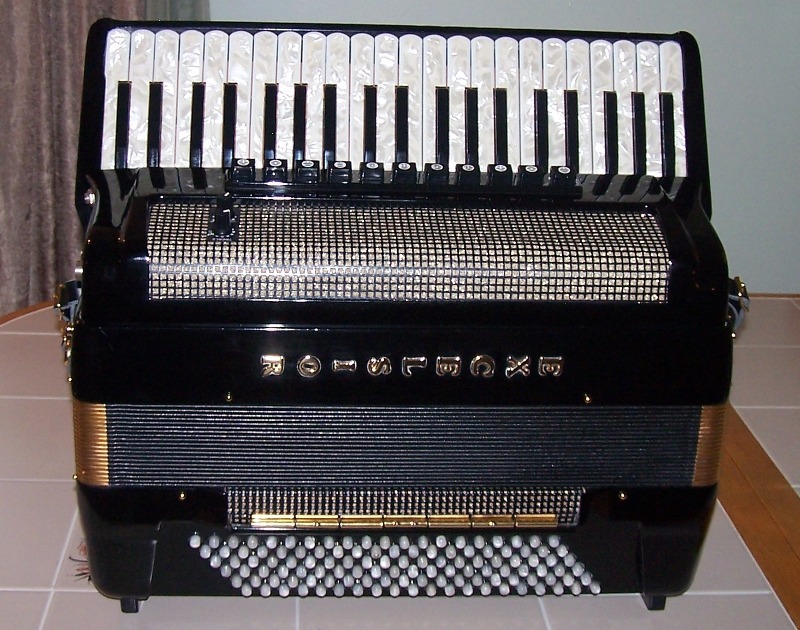 11 treble switches: Bassoon (L), Clarinet (M1), Bandoneon (LM1), Accordion (LM1M2), Violin (M1M2), Master (LMMM), Musette (MMM), Violin 2 (M2M3), Bassoon (L), Clarinet (M1), and Bandoneon (LM1). The Bassoon, Bandonion, and Clarinet switches produce classic concert sounds. 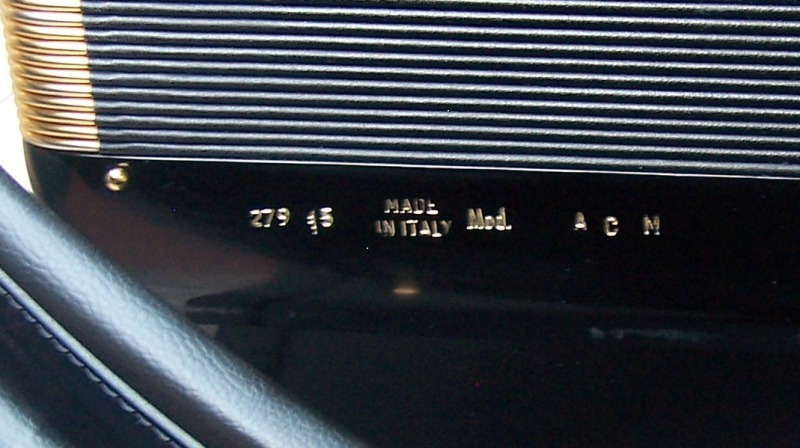 The switches highlighted in red correspond to Italian musette. 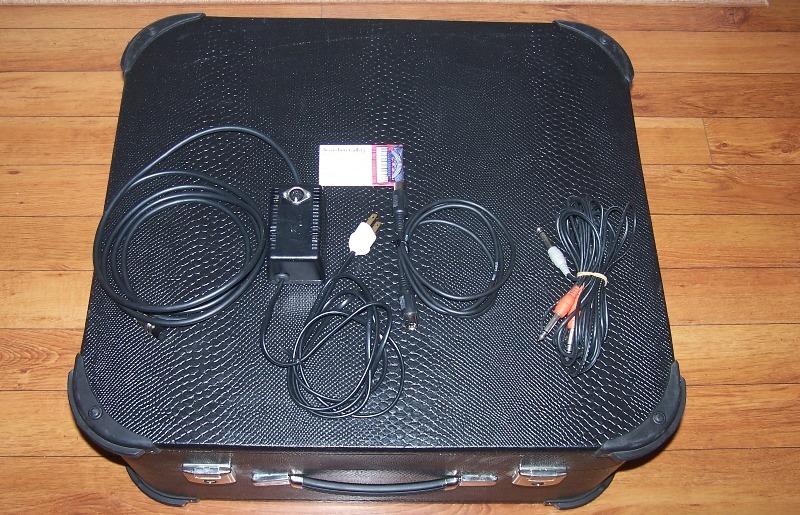 The switches highlighted in blue correspond to French musette sounds. 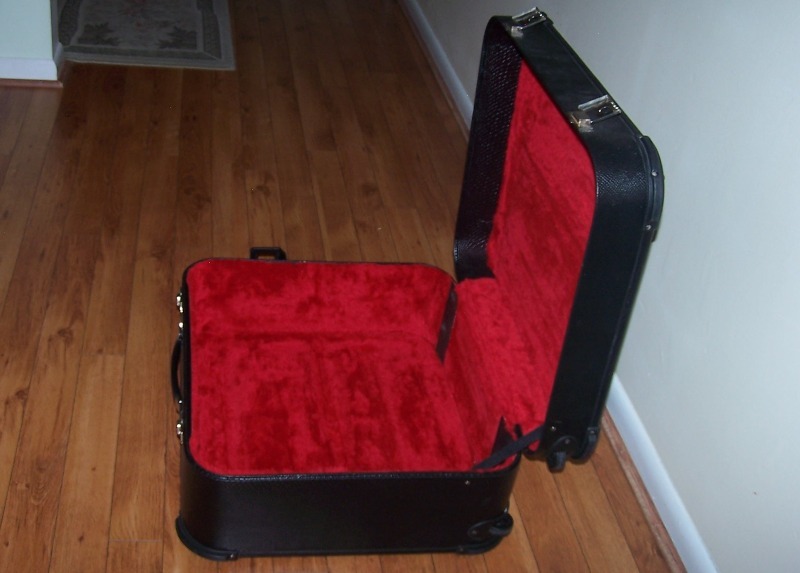 This is a very versatile instrument in great condition. 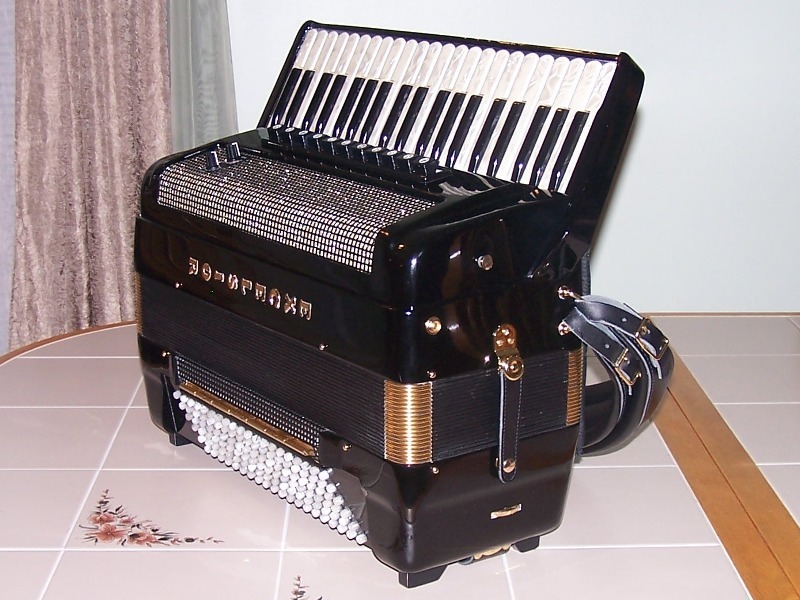 You can play it as a fine acoustic accordion, as an amplified accordion, as electronic MIDI instrument, or in any combination of these features. 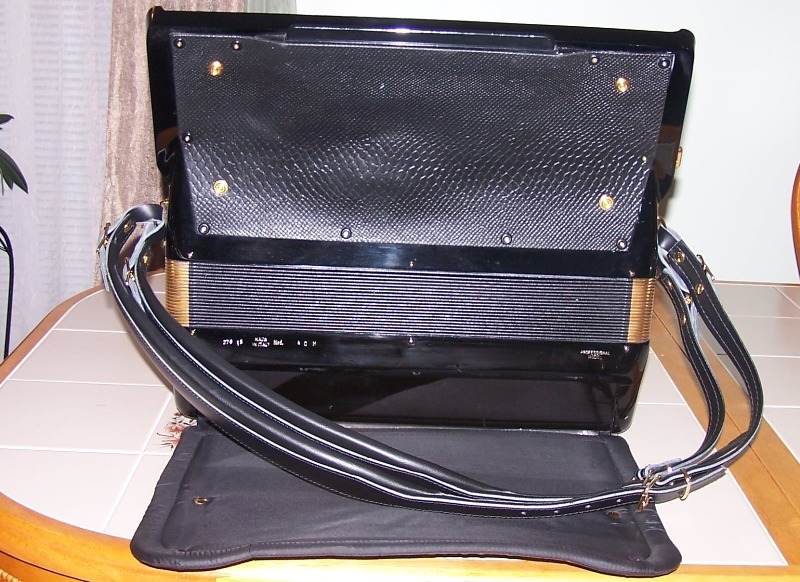 I have tested all acoustic and electronic features and they work perfect. The balance is very good. The tone is harmonically rich and powerful. 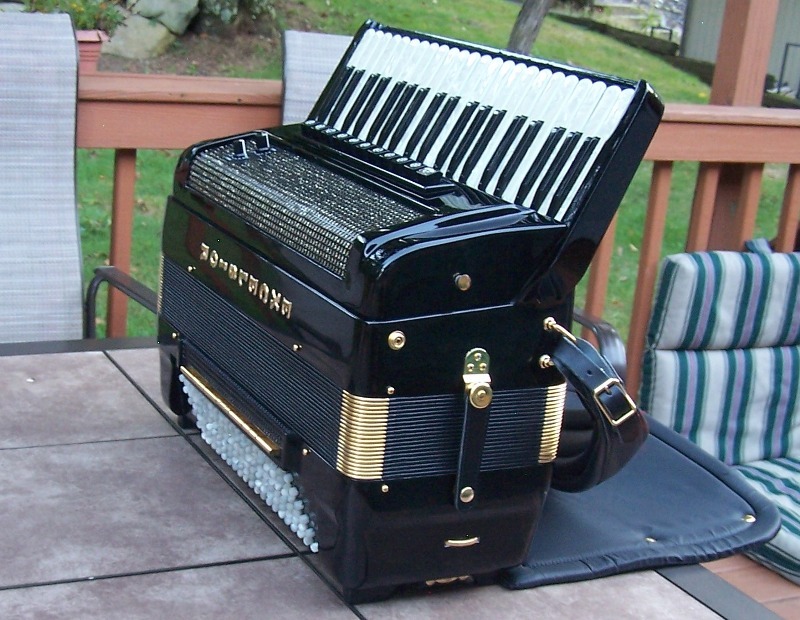 This is a top of the line high quality reliable accordion. 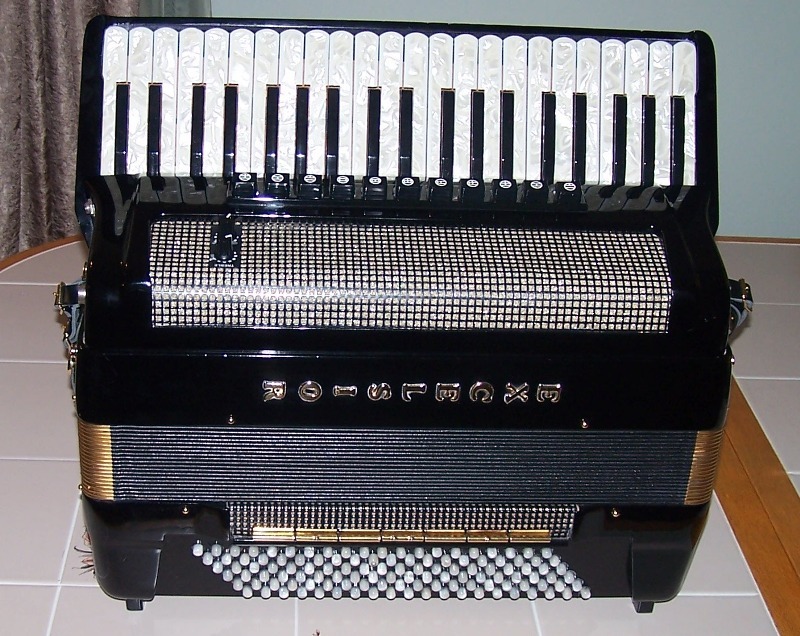 Call me at 973-770-6877 to schedule your visit to the Accordion Gallery and try this beautiful instrument. 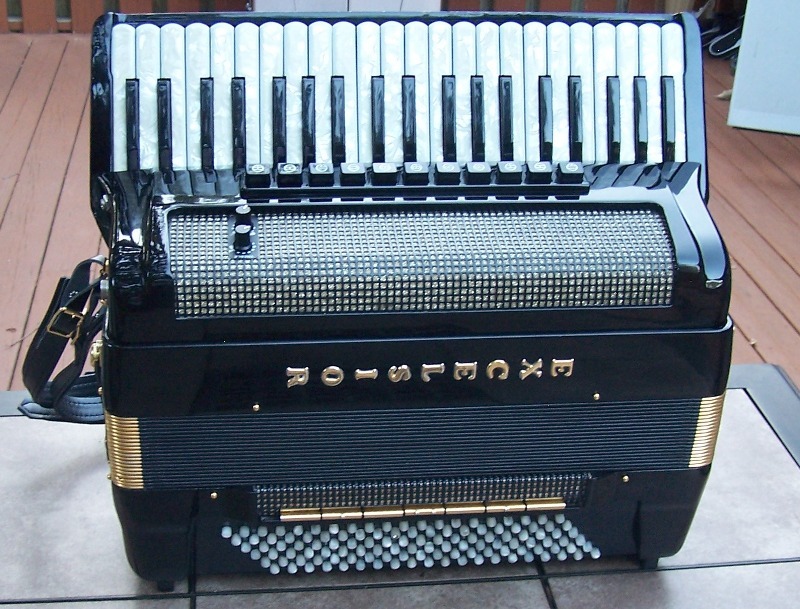 The accordion interior is pristine. 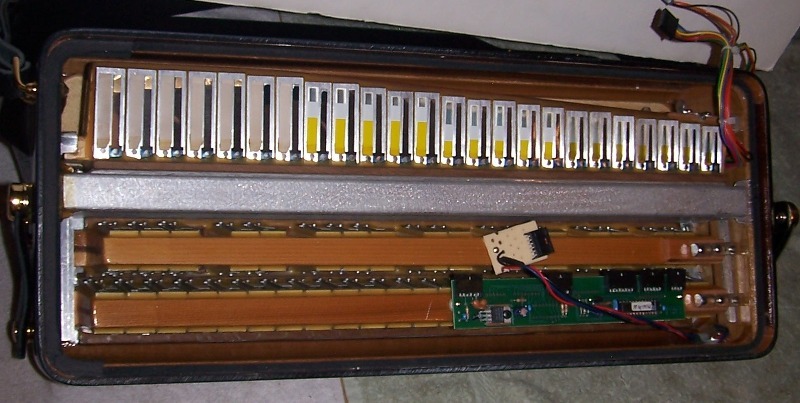 The MIDI was installed at the factory. You can see the neat clean work. Disconnecting the cables to service the accordion is easy. 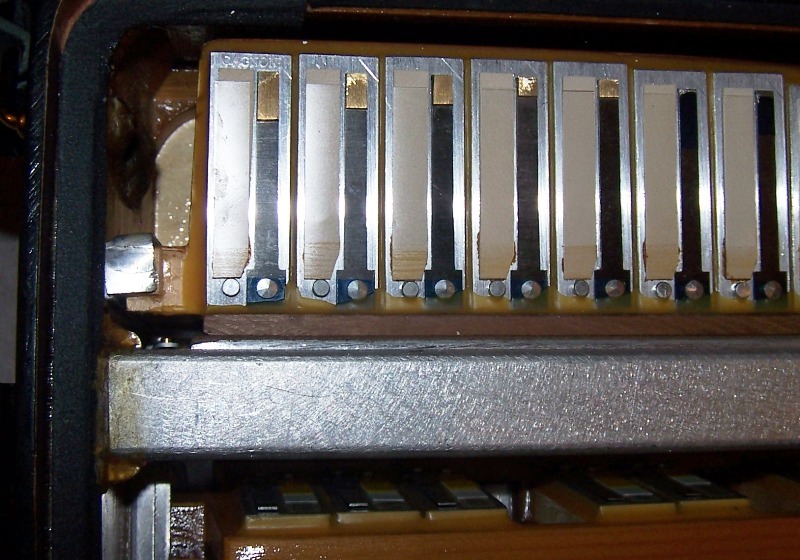 The bass side MIDI contacts are mounted outside of the actual bass mechanics and don't cause any interference. The installation and cables routing is very neat and professional. The electronics operation is very reliable. 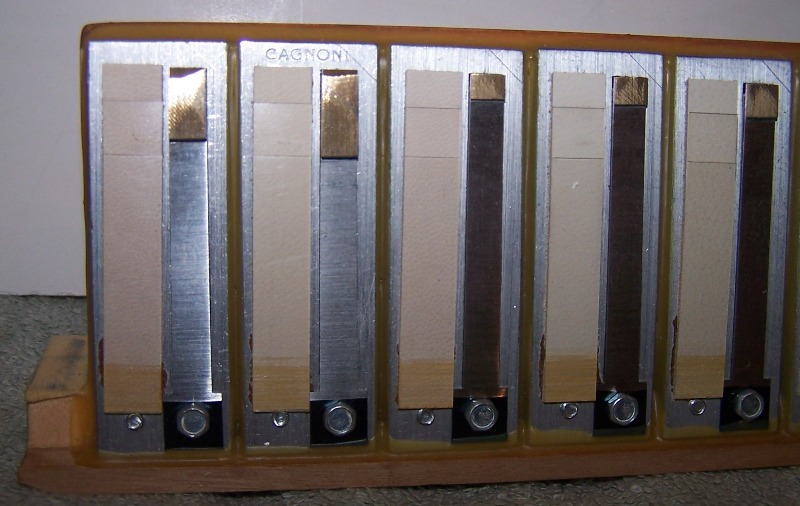 The hand-made CAGNONI reeds will impress you with their tonal richness and dynamic range. 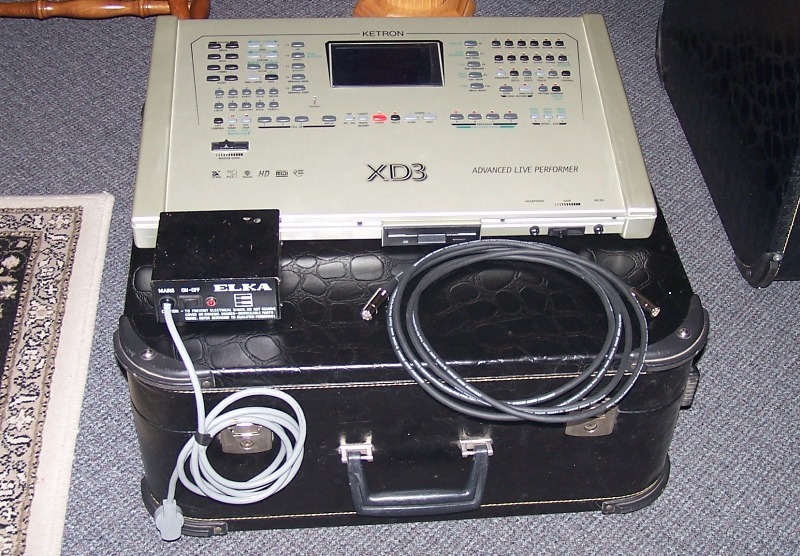 The MIDI is very easy to use. It comes with small power supply. All cables are included. 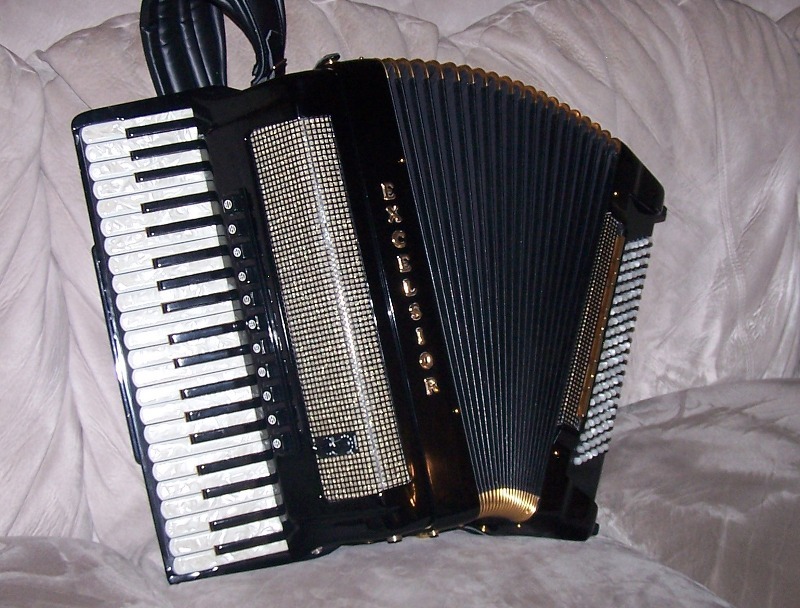 Connect the accordion to any MIDI module/arranger and you have a one-man orchestra. 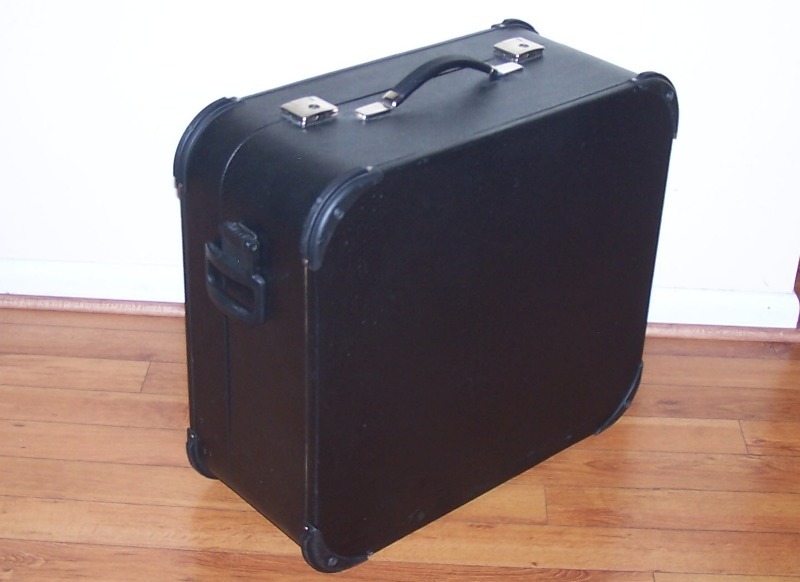 The case has rubber reinforced corners, wheels, and a side handle. The interior is nicely padded.